I’m a huge believer in keeping a running log. You may not use the information right away, but I promise one day you will want to look back at it. Every runner has their own way of journaling their runs. I use (and love) Garmin Connect. P.S. The brick was amazing. After the power function on my 305 became unreliable, I used a 210 occasionally (click here), but didn’t love it enough to use it daily. I used Strava for my daily runs and only my 210 for races. What I love about my consistent usage of a Garmin is Garmin Connect. If you have a Garmin and are not using Garmin Connect, you’re missing out on half the awesomeness of having a Garmin. I have been using it since my 305. My first logged run was May 14, 2009! (It was the day after Mother’s Day- the day B gave it to me.) All you have to do is plug your Garmin into your computer. 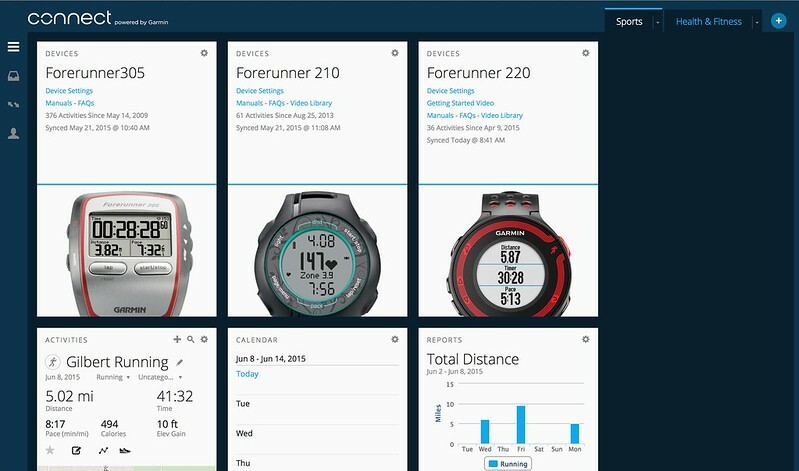 Garmin Connect keeps a detailed log of all of your runs- elevation gain and loss, pace, speed, cadence. It also has many other features that help you find new routes, train for races, and connect with friends. You can add notes to your activities so that you can remember how you felt or anything significant (or insignificant!) about the run. It even works with my Vivofit 2. I have had such an obsession lately with looking at my old training times because of my race coming up on Saturday. I have been studying my training times from when I trained for Utah Valley 5 years ago, and qualified. I’d say the times are comparable. Hopefully that’s a good thing. Mainly I just need to calm down, but I don’t have that mastered yet. I’m really enjoying this taper. I’m glad it came just in time for my kids to be out of school. June is pure craziness.To see my available training plans, click here. To view my YouTube Channel for more training tips, click here.